If you have a large room many people take advantage of the space and create their own leisure or fitness room. In addition to an exercise pool you can also include gym equipment, a sauna and hot tub. At Panache we also supply and install saunas and hot tubs and would be happy to price for a complete leisure room package. A major advantage of our exercise pools is their compact size, plus we can supply made-to-measure, bespoke options to suit your space. We have installed one of our Endless Exercise Pools in a single garage for example – More Info. 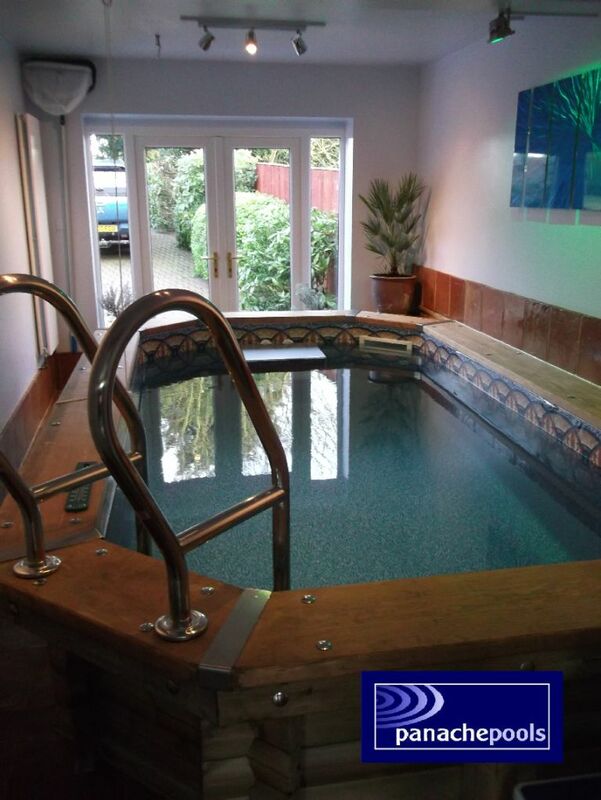 We have also supplied pool packages that were fitted in a basement. With both these examples the space wasn’t being used, apart from for storage. Our exercise pool options allowed these wasted spaces to be transformed into indoor exercise pool rooms that can be used every day of the year. Let’s face it, if you want to benefit from the fantastic exercise swimming provides, you want a facility you can use regularly, and not just when the weather permits. An indoor exercise pool, inside your home, is many people’s ideal and our exercise pool options offer practical and cost effective solutions. For more information and advice why not give us a ring on 0800 0665979, or visit our website dedicated to our range of Endless Exercise Pools at www.EndlessExercisePool.co.uk.